Guests love the location of this hotel near Robson Street Vancouver for shopping and people watching. Rosellen Suites at Stanley Park hotel is a half block from Stanley Park and near countless other downtown attractions. While you’re here, cheer on the Canucks on home ice or see a spectacular two-week fireworks competition. 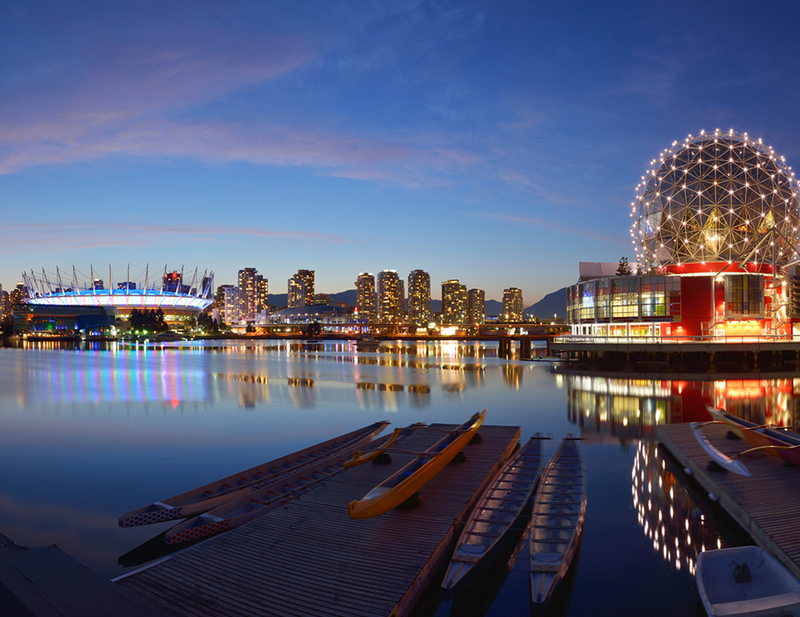 Check the Vancouver events calendar. With 988 acres of protected forest and 27 km (17 mi) of forested trails, Stanley Park is North America’s largest urban park. Killer whales, belugas and sea otters are a few of the species you'll encounter at this marine science centre with several outdoor exhibits. This hands-on science centre with a five-story OMNIMAX Theatre features hundreds of interactive exhibits focused on biology, natural history and physics. Once an industrial area, this urban island now includes a renowned public market and more than 300 restaurants, theatres, galleries and studios. Located in Chinatown, this garden is an authentic representation of the traditional gardens you’d find at a scholar’s residence during the Ming Dynasty (1368-1644). This 55-acre garden just outside downtown includes plants from ecosystems that range from tropical South Africa to the Himalayas to the Pacific Northwest. Spread over 70 acres amidst coastal forest, this university botanical garden includes more than 500 species of rhododendrons, one of Canada's largest collections. A 15-minute drive from downtown, this mountain is a popular skiing and snowboarding destination. In summer you’ll find bear watching, ziplining and hiking. In West Vancouver, this suspension bridge stretches 137 m (450 ft) across the Capilano River canyon 70 m (230 ft) below. Don’t miss the cliff walk and treetops course. This downtown landmark houses a permanent collection of more than 10,000 pieces with a focus on British Columbia’s artists.